Bill is an ottoman bed with slatted base in beech wood and single or XL single mattress. The orthopaedic slatted base is folded in three and to open it you first have to lift it upright and then lower it down. The mattress provides your guests with an great comfort, with a height of 11 centimetres and materials designed to support the body. 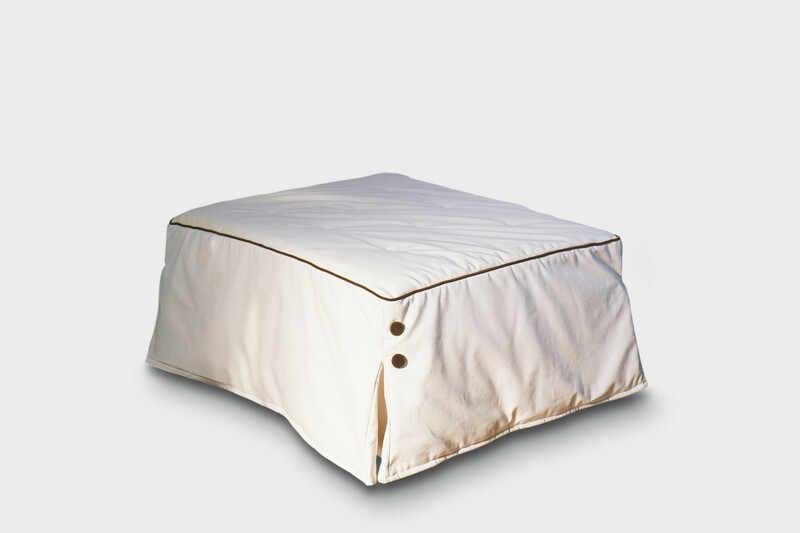 Bill is a unique space-saving furniture item; thanks to its small dimensions and the cover customisable in several materials and colours, this flounced ottoman bed is perfectly suitable for any kind of environment: classic and modern sitting rooms, bedrooms, kids bedrooms and guest rooms. You only have to select the cover you like more to create a useful piece of furniture customised according to your style preferences. 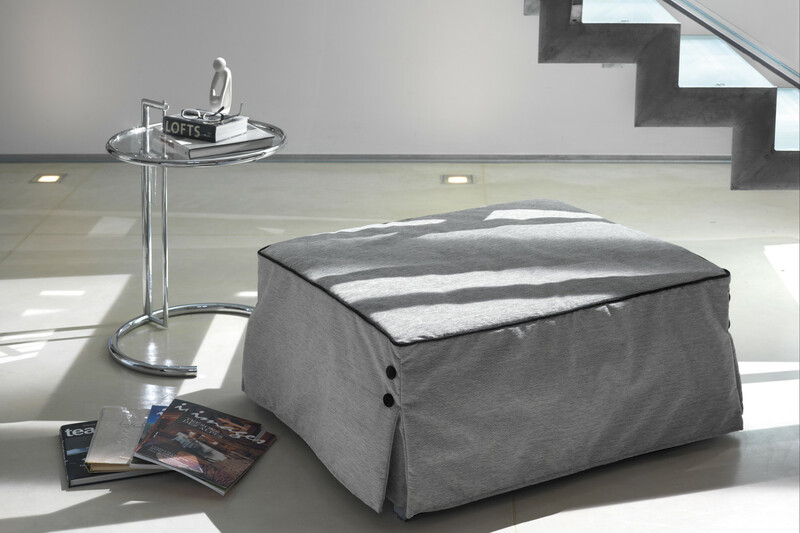 When closed, the ottoman is a nice and comfortable item, suitable to be used as extra seat or footrest. - HR 30: in high resilience expanded polyurethane, characterised by a greater support. 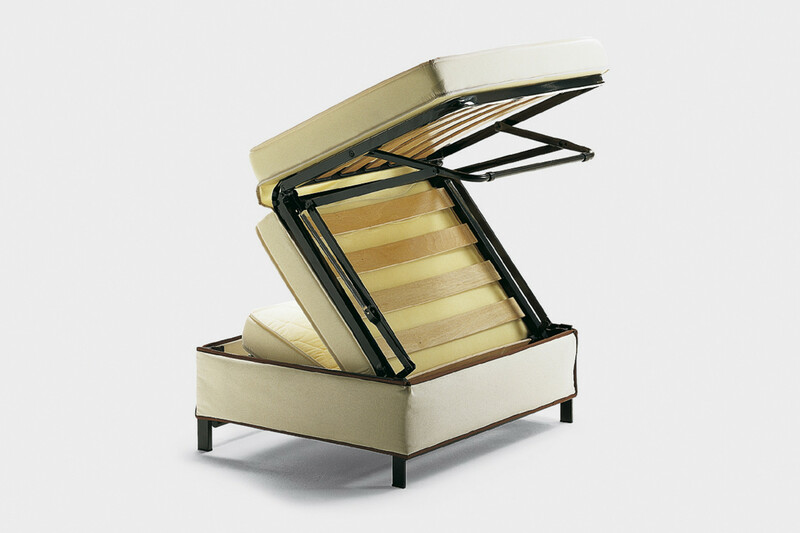 For more information on the Standard mattress see the ottoman technical card. For the HR30 mattress a specific product card is available in the "Additional Information" box on the right. Bill is available with removable cover in fabric, eco-leather and leather in several colours. The seat is characterised by a piping available in several colours with matching buttons. 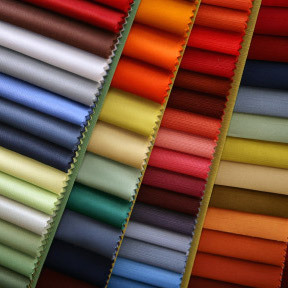 The piping category must be the same chosen for the ottoman cover. Mechanism: high resistance furniture tube, oven coated with epoxy powders. Orthopaedic bed base. Mechanism opening and closing in one time. Mattress: 21 kg/m³ resilient polyurethane foam, covered with 100% cotton fabric, quilted with 100% 100 gr/m² polyester resin wadding. 2,5 mm 3-layered interliner.